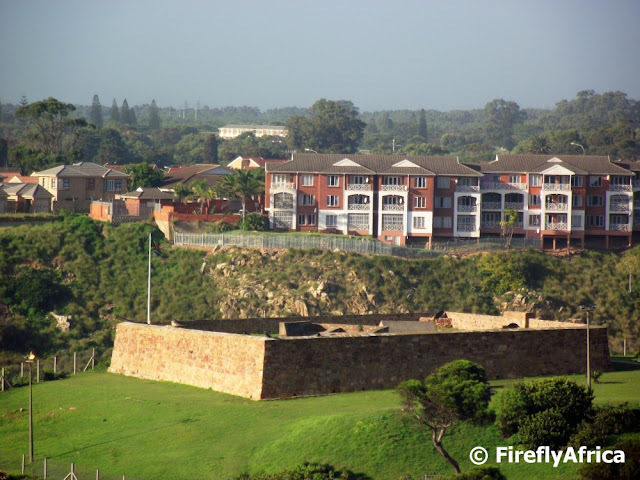 The closest I have to an aerial photo of Fort Frederick, Port Elizabeth's oldest building, is one taken from the top of the Donkin Lighthouse. The views from the lighthouse is fantastic although its a bit of a tight climb up to the top. "Hey dude, did you bring us any carrots?" Ok so donkeys can't talk, but that's what I imagine these long eared ladies were saying during my last visit to the East Cape Horse Care Unit. 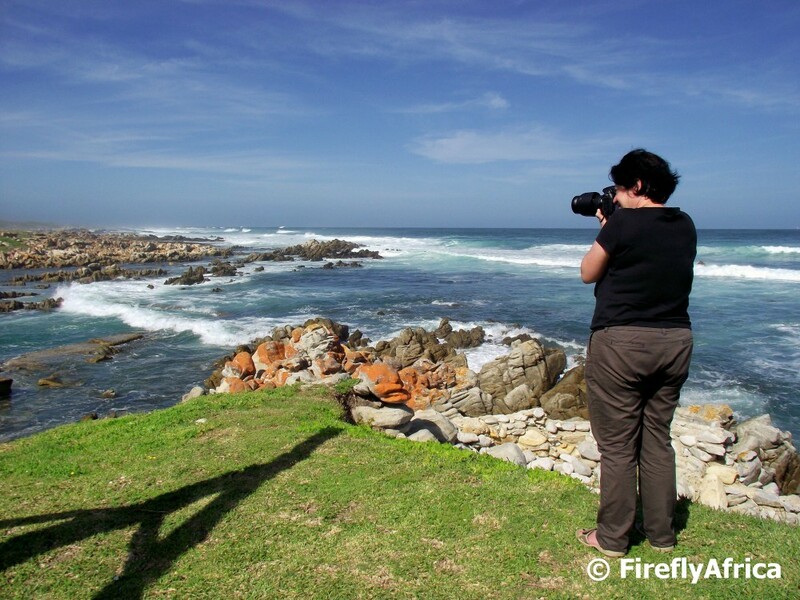 Cape Recife is one of Port Elizabeth's best bird watching spots, specially for waders, coastal and marine birds. 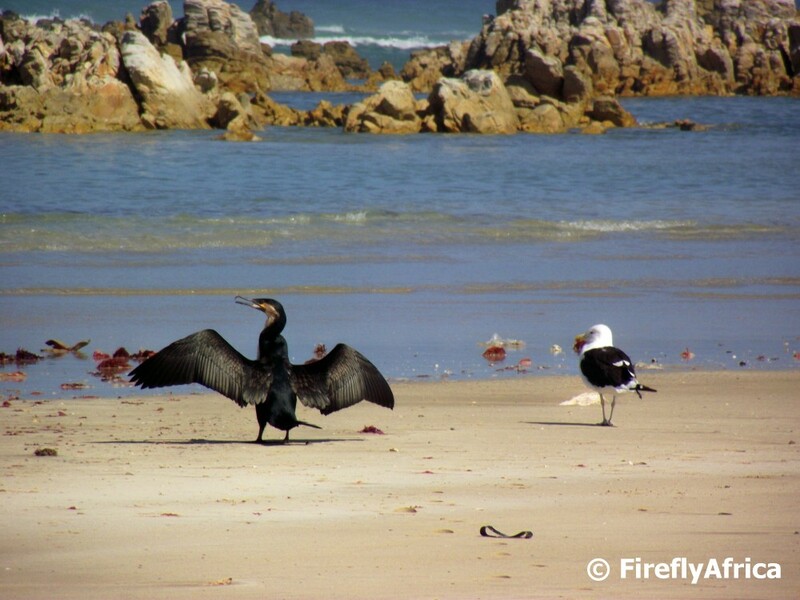 This cormorant looks like he is showing off his impressive wingspan for a passing kelp gull. 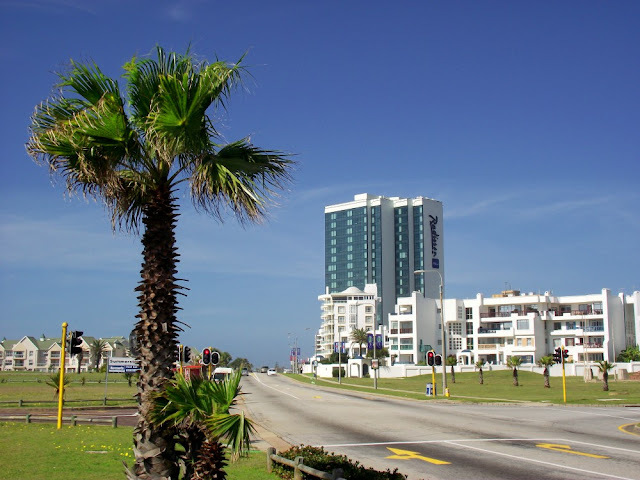 Love it or hate it, the five star Radisson Hotel on the beachfront in Summerstrand has become a landmark on the South African skyline. 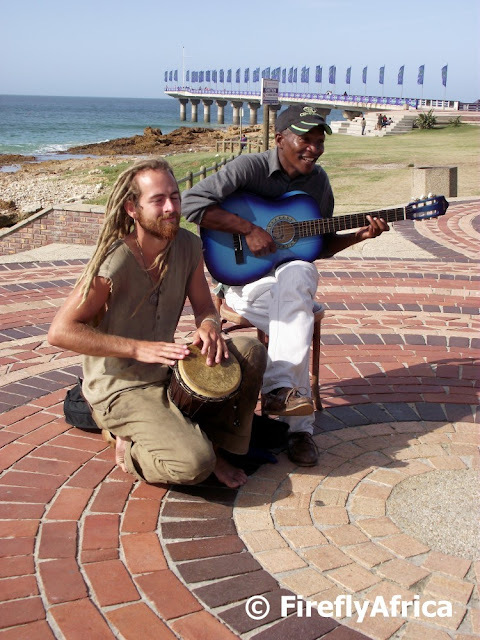 There are often a busker or dancers entertaining passing folk on the promenade at Hobie Beach hoping for a couple of coins (or notes). Last week on passing I noticed two buskers combining their talents and creating a bit of a vibe in front of the Hobie Beach Boardwalk. The guy with the guitar plays and sings quite well and with the djembe drummer joining him they created a very unique and interesting sound which attracted quite a number of onlookers. Port Elizabeth is really fortunate to be surrounded by some of the best game reserves in South Africa. 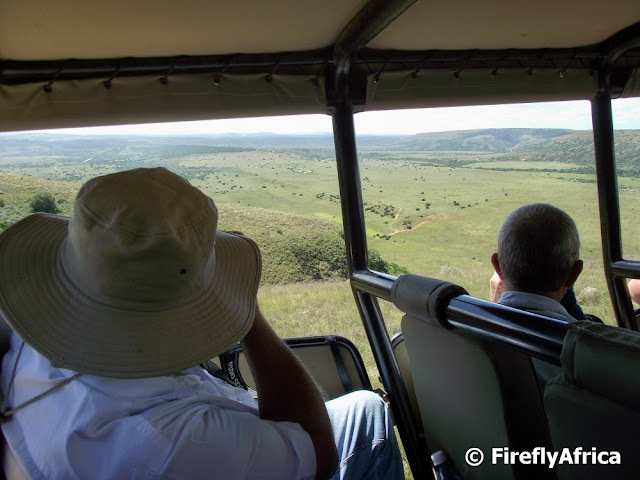 I recently joined a group of tour guides on an educational to Amakhala Game Reserve situated about 75km from the city. This is the view from the plateau down towards the Bushmans River during our game drive. What an view! 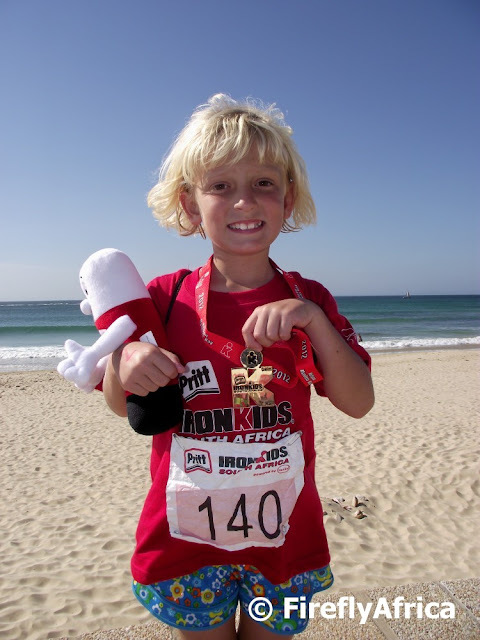 On Saturday Drama Princess participated in her first Ironkids South Africa and we are so proud of her for doing it. She has been parading her medal for everybody to see for two days now, even showing it off in church on Sunday and going to the headmaster's (who has participated in Ironman himself) office at school and show him. The organisation around Ironkids was amazing and everything planned to a tee. Ironkids start with a 60 meter swim at McArthur Pool and the kids are divided into groups of twenty each with about 10 lifeguards in the water with them at all times. Although Drama Princess can swim she isn't very comfortable in deep water and she made sure she annexed herself a lifeguard right from the start. These guys (and girls) were amazing with the kids with some lifeguards dragging along up to 3 kids at a time. As soon as she was out the water she had her shoes and t-shirt on and off she went on her 1,2km run to the finish line at Hobie Beach. Every 50 meters on the run there were both schoolgirls as well as SA Defence Force volunteers keeping an eye on the kids and encouraging them. I met Drama Princess just as she came up the ramp from the pool and kinda struggled to keep up with a camera in one hand, video camera in the other and a backpack on. Watching the video afterwards you could here me huffing and puffing which is a bit embarrassing having my 7 year old daughter show me up like that. She's already said that she wants to take part again next year. Now to just persuade Chaos Boy to try it as well. 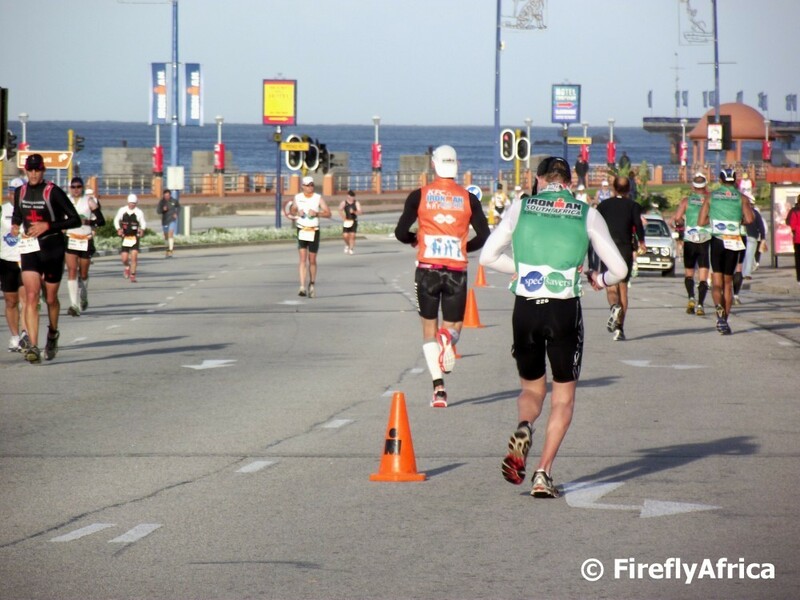 This past weekend was Ironman South Africa weekend in Port Elizabeth and what an incredible event it was again. It truly is one of Port Elizabeth's flagship events. It started on Friday afternoon with the Irongirl ladies 10 km run. Saturday morning kicked off with the Corporate Ironman where teams of three (or individuals) do a 1/10th of the full Ironman distance. 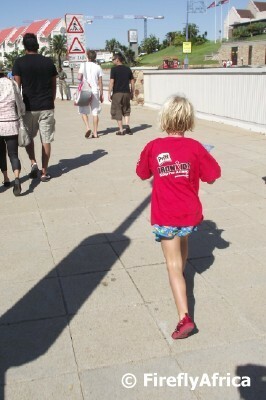 This was followed by the hugely popular Ironkids consisting of a 60m swim and 1,2km run for kids aged 13 and under. Drama Princess took part in Ironkids and I will post about that tomorrow. 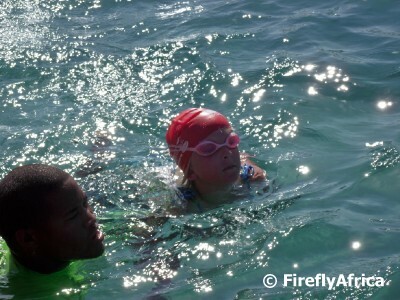 The main event started on Sunday morning with the 3,8km swim in rough and challenging seas. The 180km bike ride must have been the toughest ever in PE with a pumping westerly wind giving the competitors hell on the out ride while they had it at their backs on the way back to the beachfront. I bundled the family into the car late afternoon and we went down to Humewood to go and cheer on the competitors during their 42,2km run. Once again I am in awe at all these Ironmen and women, most of them regular everyday folk who prove that doing something like this is possible even if you aren't a top athlete. RESPECT! Visiting the Ron Belling art gallery is always a highlight for me. His nautical and aviation paintings are absolutely amazing and what makes it even more remarkable is the fact that he was self taught. 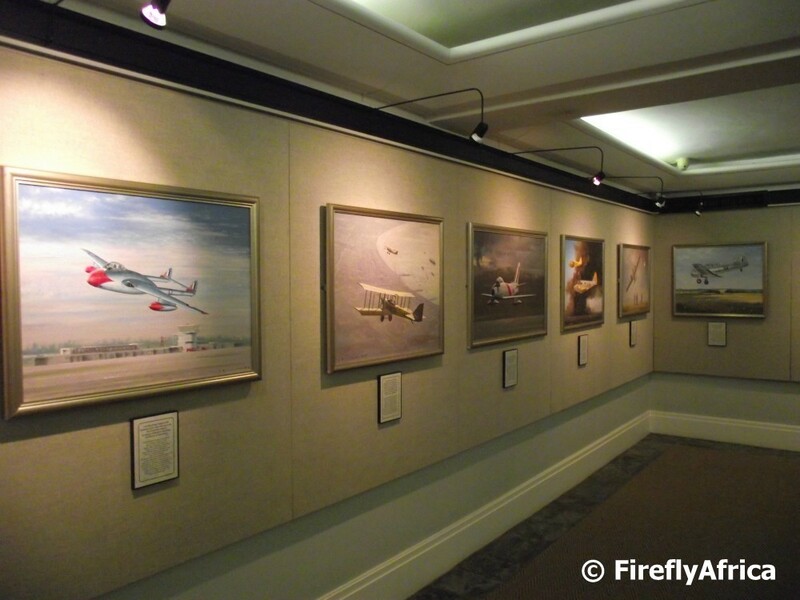 Most of his aviation paintings were done against a historic Port Elizabeth background and I love travelling back in time with them. We are really fortunate that we have such a fantastic collection of his paintings on display in the gallery in Park Drive. Late afternoon at Fort Frederick looking east towards the Port Elizabeth harbour and Algoa Bay beyond. The fort, which is the oldest building in Port Elizabeth, was built in 1799 to protect the Bay from invasion and was the first permanent stone structure to be built by the British in Africa south of the equator. The Cape Recife lighthouse is currently undergoing a face lift so it wasn't the ideal photo subject during my Cape Recife visit with the SA Tourism photographer on Monday. 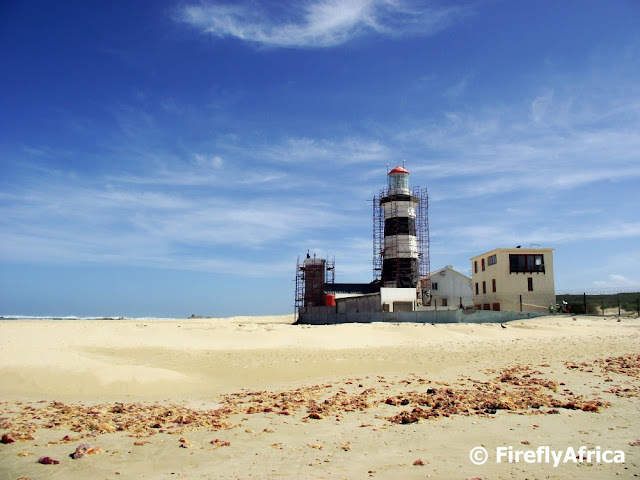 The lighthouse has been closed to the public for quite some time so I'm hoping this is a good sign and that it will be open again fairly soon. Yesterday I had a stunning day out showing South African Tourism photographer Max Marx around this beautiful city I call home. I have to admit that I have stopped being amazed at how amazed visiting journalists are when they see how much Port Elizabeth has to offer and how beautiful the area is. As somebody who really loves PE I get very proud when I hear somebody like Max state that she never realised how much there is to see. What does make me sad are that there are so many people in this city who doesn't see the beauty in it and would rather moan and complain about the bad that there is. Yes there are historic buildings and open spaces not being looked after and a plan has to be made to fix it, but if you have to keep being negative about it life (and this city) with all its beauty may just slip past you. When Fort Frederick (top left) was built overlooking the Baakens River Mouth and coastline in 1799 things looked a little bit different than today. The river flowed into a fresh water lagoon and the beach was a lot closer than it is today. These days there is no more lagoon and the river flows along a narrow canal while there are businesses on the river's flood plain. 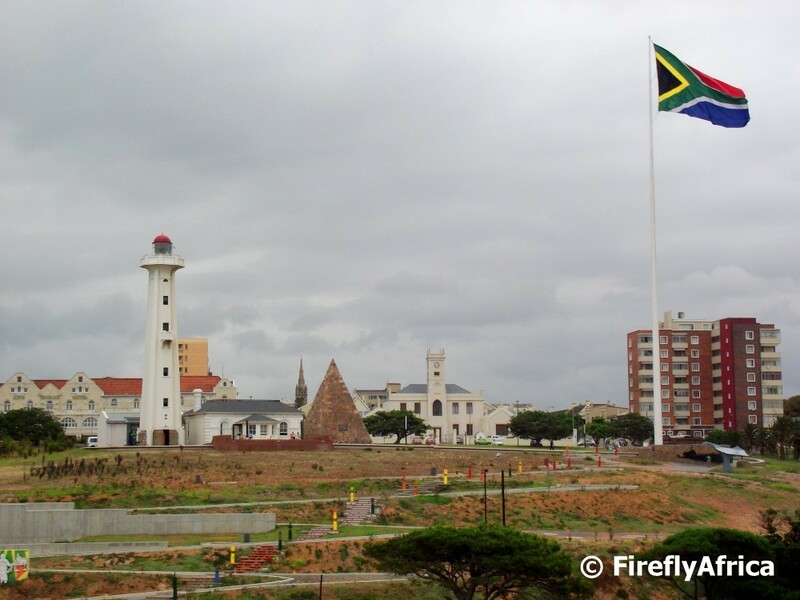 Since the building of the Port Elizabeth harbour the Fort is also much further from the actual ocean than back in the days. 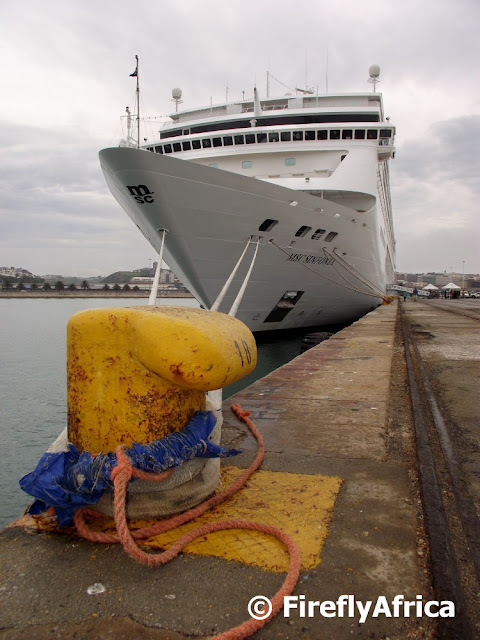 During the last week or two we have had two cruise ships visit the Port Elizabeth harbour on cruises along the South African coast. Usually the locals have to look at the ships from afar due to strict harbour security (too strict some days if you ask me). 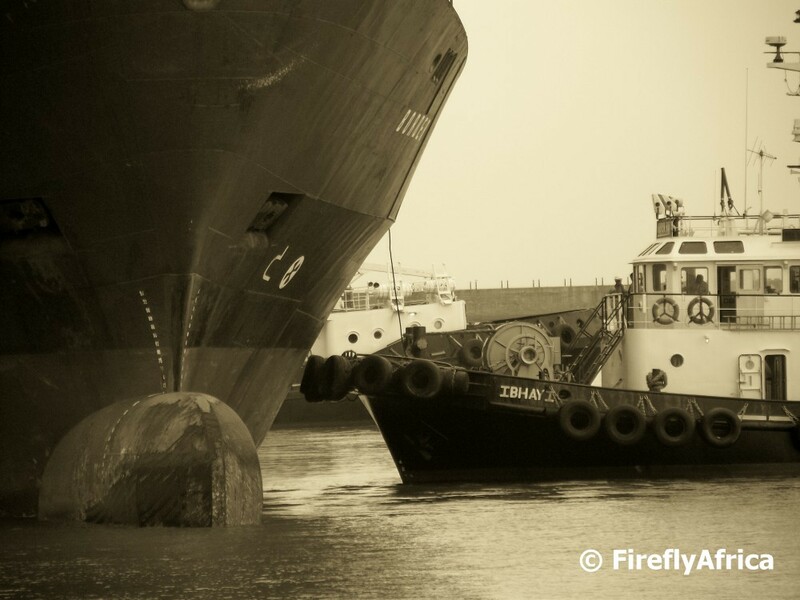 I had to do some work quay side for the MSC Symfonia and as I never go anywhere without my camera I took the opportunity to snap this picture. One of my favorite places in Port Elizabeth to take the kids is the East Cape Horse Care Unit next to Animal Welfare on Victoria Drive. 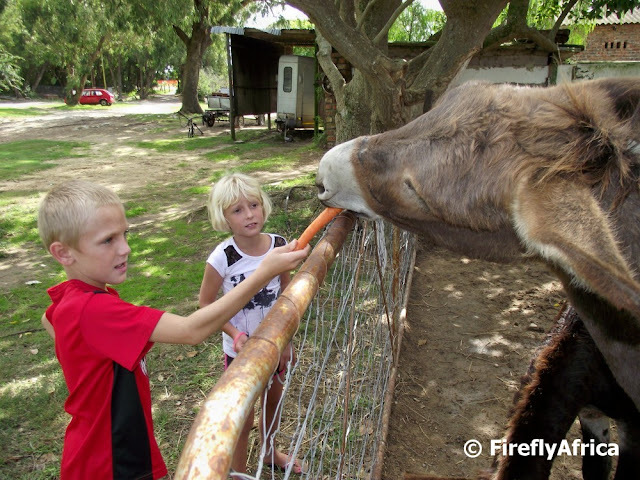 Megan and her team of volunteers does a stunning job caring for sick and injured donkeys mostly from the nearby Walmer Township. 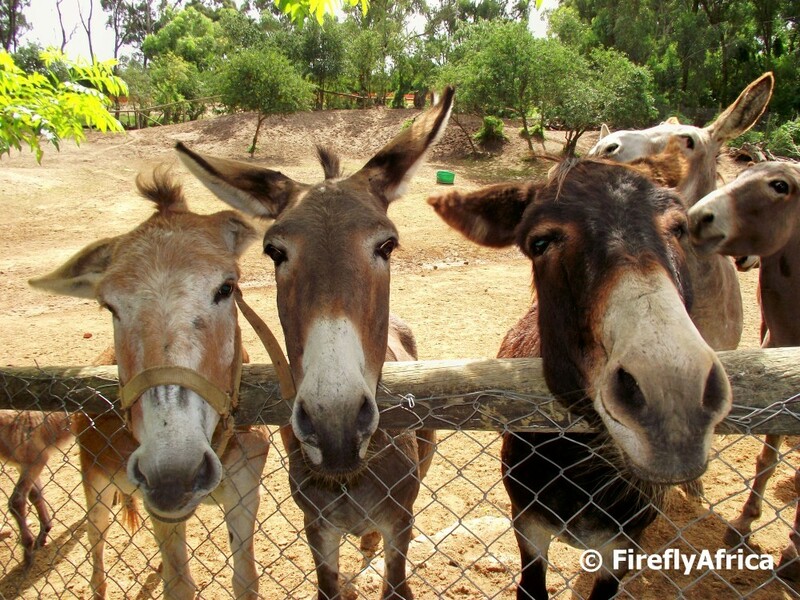 Visitors are always welcome and most bring along a bag of carrots to feed the donkeys with. Chaos Boy is generally a bit weary of them and quickly gets bored but Drama Princess can spend ages feeding and touching the donkeys. 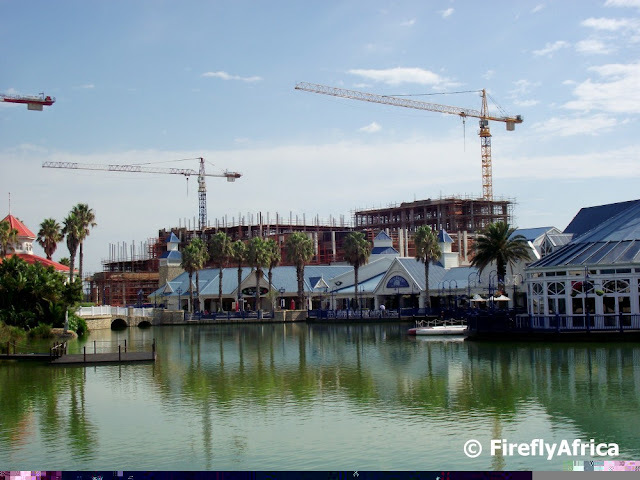 The new 5 star hotel and conference centre development at the Boardwalk Casino and Entertainment Complex is starting to take shape very nicely. Walking in from the main car park last weekend I noticed that the new building has now risen above the rest of the Boardwalk. There are exciting times ahead as far as conferencing goes once the new conference centre is open. Gemsbuck (or Oryx) is native to the arid regions of southern Africa and didn't occur in the Eastern Cape naturally. A couple of the private game reserves around Port Elizabeth have introduced Gemsbuck into their reserves though. As Gemsbuck are mainly desert-dwelling they do not depend on drinking to supply their physiological water needs and as the reserves all have ample water supply it means that the Gemsbuck has actually adapted quite well. 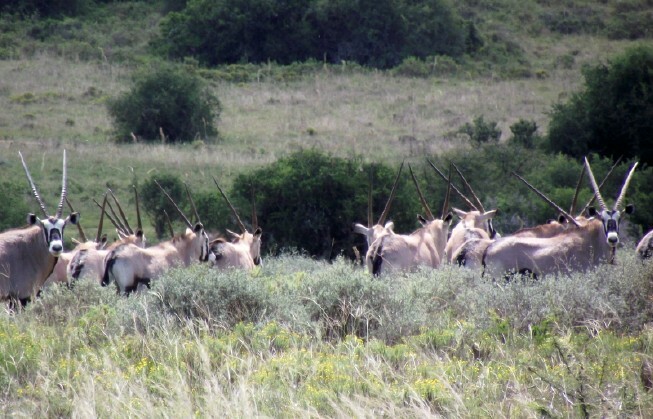 These Gemsbuck were photographed at Amakhala Game Reserve about 75 km outside Port Elizabeth. Over the last two years every time I visited the St Mary's Cemetery I've had a look for Rev Francis McCleland's grave without any success. Grizel Hart, the curator at No.7 Castle Hill, explained to me where to find it and on my last visit - after again walking right past it twice - I found it. 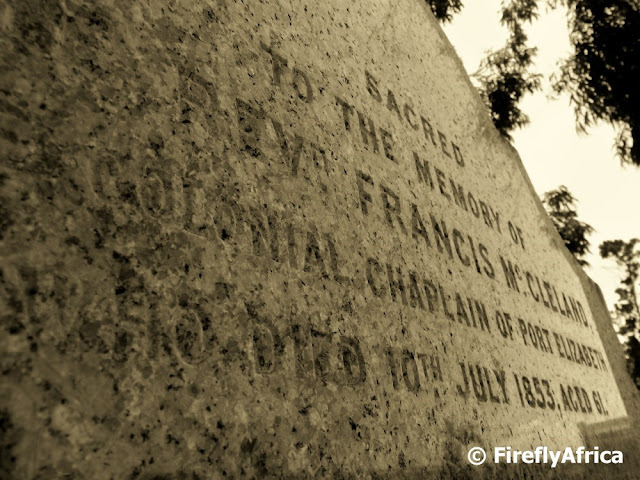 Rev Francis McCleland came to to Algoa Bay in one of the 1820 British Settler parties and became colonial chaplain in Port Elizabeth. He bought the land on which No.7 Castle Hill now stands for three guineas (three pounds and three shillings) in 1827 and built the house for his family. By 1834 he had also overseen the building of St Mary's Anglican church (later declared a cathedral). 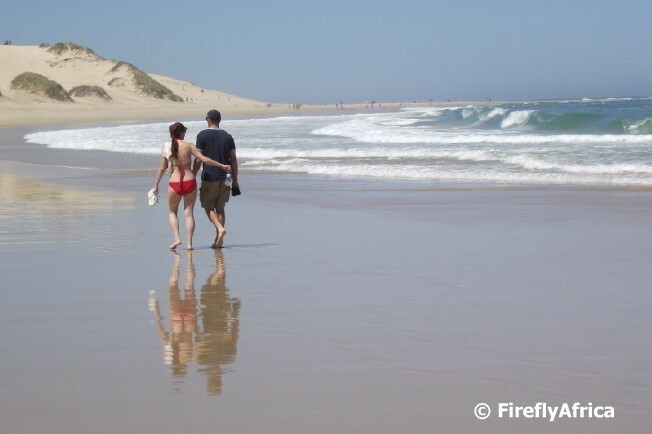 Its been a bit of a cold and wet weekend so I thought I'll try and counter that with a warm beach scene of a couple taking a walk along Sardinia Bay. Not everybody heading down to Hobie Beach during the Splash Festival over Easter weekend are there for the festival itself. Many also go to enjoy the beach and Friday's hot weather meant that a lot of people headed into the water. Unfortunately for the organisers it was spring high tide over the weekend and the volleyball courts turned into "tidal pools" as the sea pushed itself over the sand walls created to avoid just that. 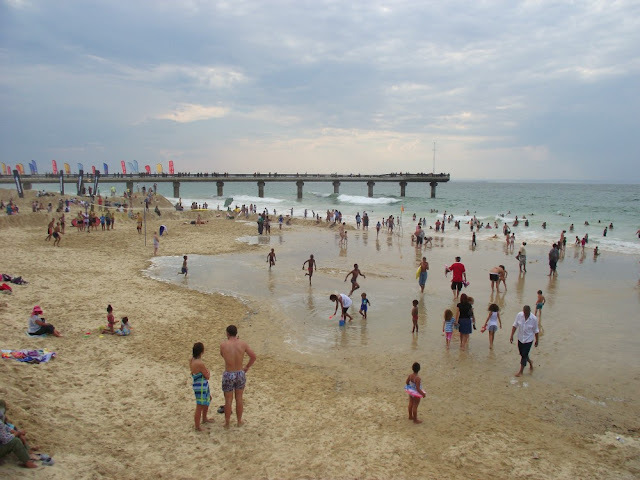 The Splash Festival in Port Elizabeth is the biggest 4 day beach festival in South Africa and draws thousands of people to Hobie Beach over Easter weekend. The beach sport like Beach Volleyball and Beach Rugby are always popular events but the thing that pulls the most people to the festival is Saturday night fireworks display on Shark Rock Pier with people searching out good viewing spots from early on already. 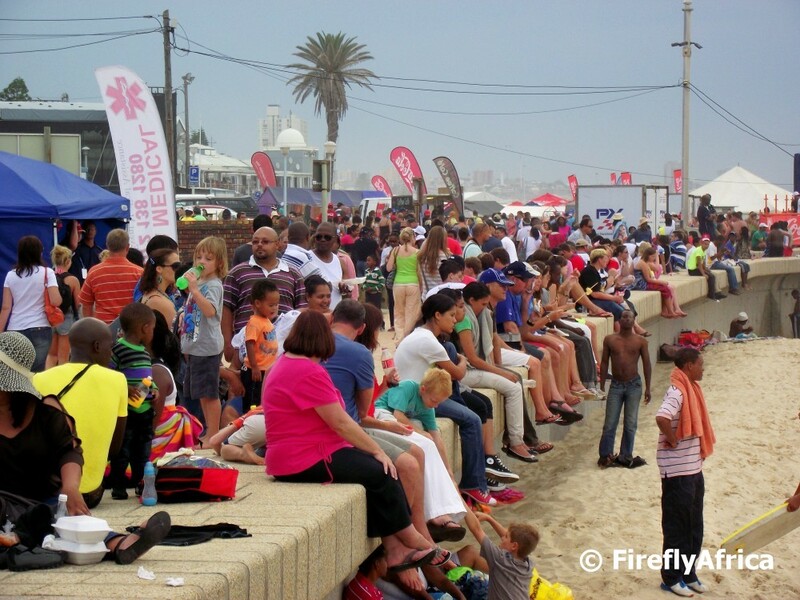 The annual 4 day long Splash Festival started at Hobie Beach yesterday and even though the organisers were only officially appointed about three weeks ago the first day was a huge success. 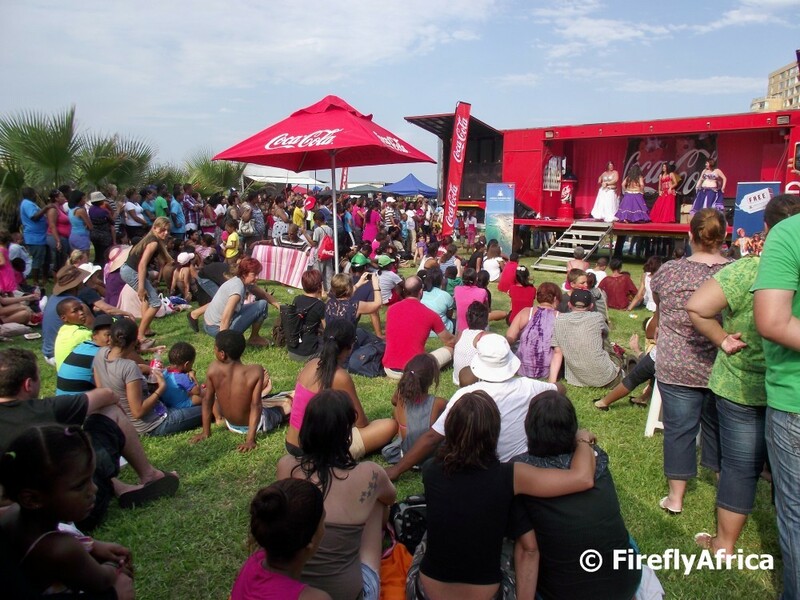 Thousands of festival goers flocked to Hobie Beach to enjoy the fabulous weather as well as the tons of entertainment on offer. I did a three hour shift at our church's pancake stall and by 3pm when I went off duty we had sold over 900 pancakes already. Our stall was close to the Coca Cola stage, the festival's secondary stage, and these belly dancers busy shaking strutting their stuff were pulling in quite a crowd. 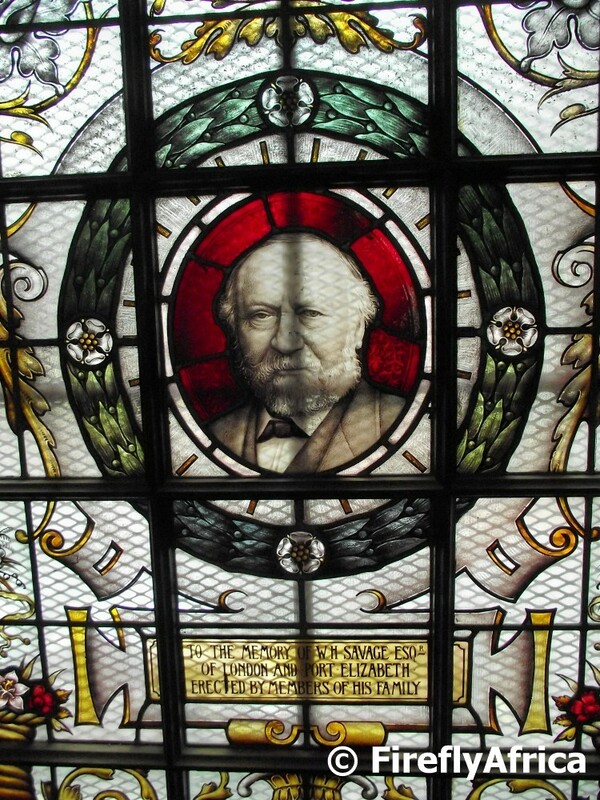 One of the stained glass windows in the historic Public Library in the Port Elizabeth city centre shows the picture of Mr WH Savage. I Googled the name but couldn't find much and then turned to Margaret Harradine's Port Elizabeth, A social chronicle to the end of 1945. 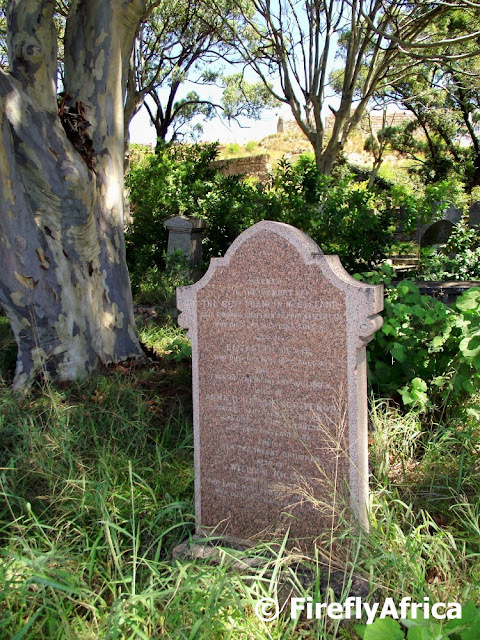 William Savage was born in Kent in 1824 and came to Port Elizabeth in 1849. He had a business selling stationary and hardware and was a generous benefactor of several good causes both in Port Elizabeth and in Grahamstown. 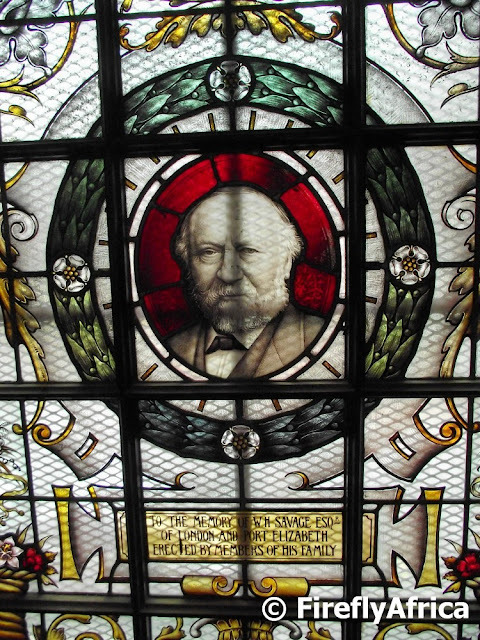 The library's Savage Memorial Hall was also named after him. 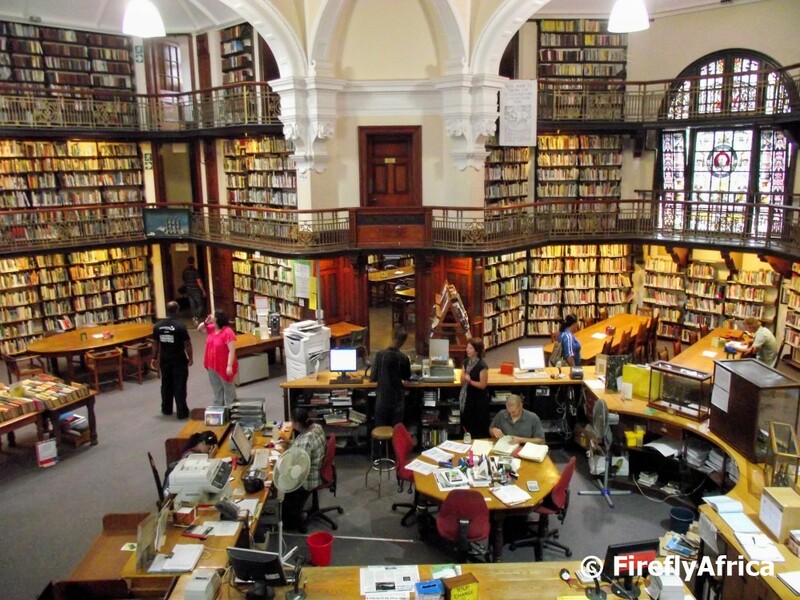 One of my favorite places as a child was the Public Library in the city centre. We used to go to work with my mom during school holidays every now and then and would spend just about the whole day in the library. Its such an amazing place with its rows and tows of books on various levels and magnificent stained glass windows. The history of the library is quite interesting. 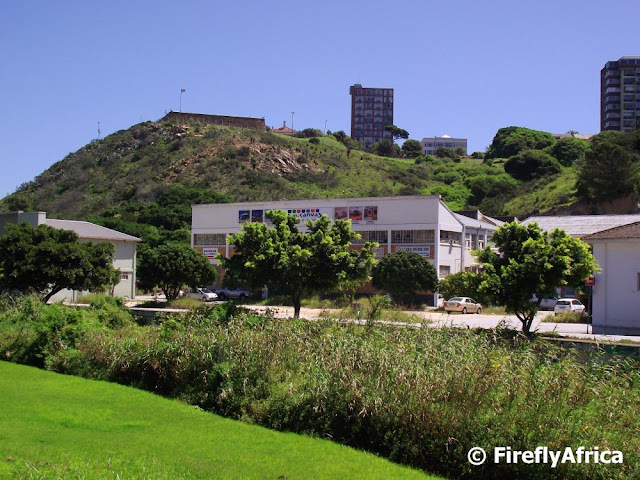 A small reading society, known as the Port Elizabeth News Society, was established in 1844 and housed in a rented room above a shop in Jetty Street. The reading matter consisted mainly of English magazines and London newspapers and the main South African newspapers published at the time, in addition to a small collection of books. The library was housed at various sites until 31 July 1902, when it was officially opened and housed in its present building. When the first Settlers arrived in Algoa Bay they found an array of hills, streams, rivers and kloofs, making habitation of the area a problem. Donkin Street as it stands today was originally a "kloof" (steep valley) with a stream. The water it carried was channelled into the then Main Street. 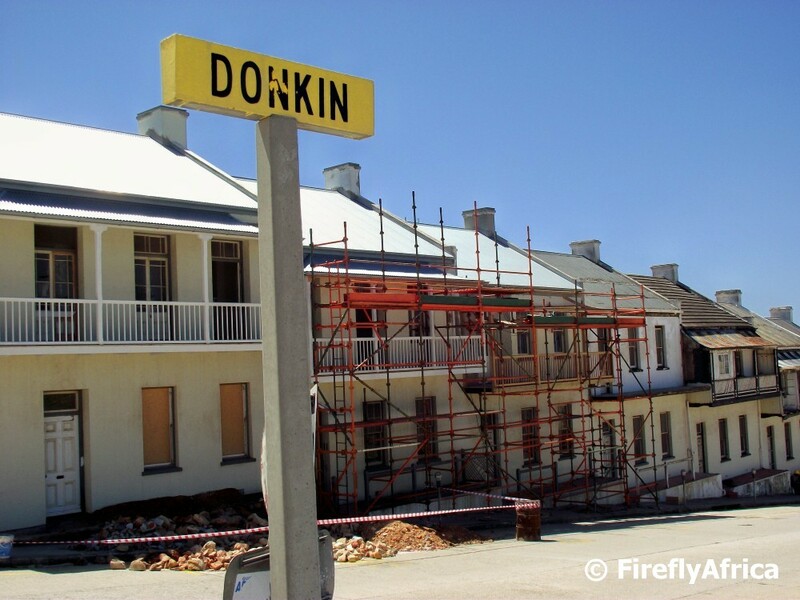 This kloof was eventually filled using convict labour and Donkin Street was established in 1851. The row of 18 terraced houses was built in the 1850's. Over the last few years the houses have deteriorated quite badly under their current owner so it was good to see that renovations started on them recently. It does seem that some changes are being made to some of the original features during the renovations, but I'm just glad to see them being fixed up. 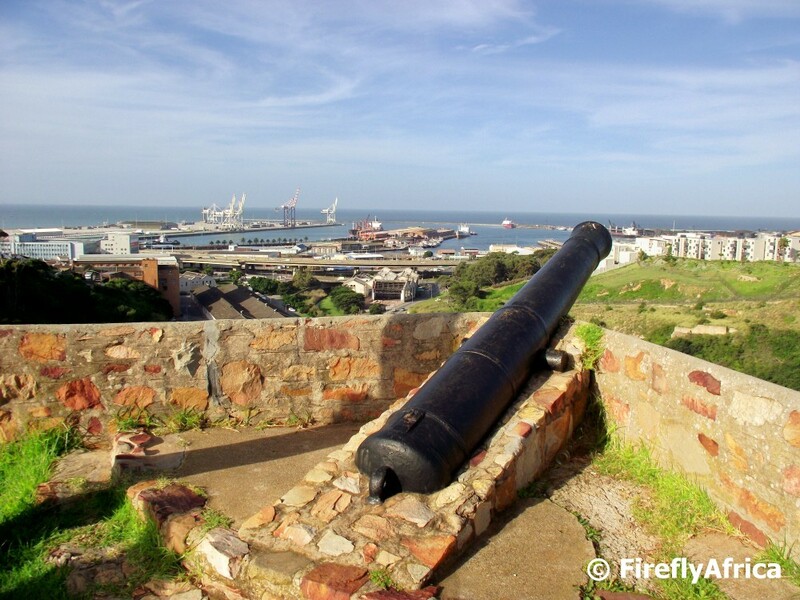 The Sky Deck in the Port Elizabeth city centre gives one some stunning views of the downtown area. 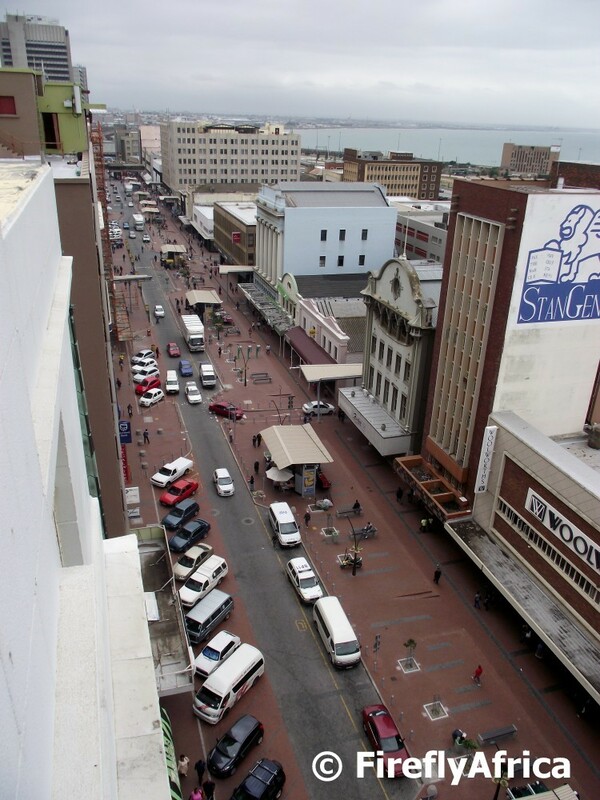 This is looking down onto Govan Mbeki Road (formerly Main Street) which was redeveloped by the Mandela Bay Development Agency just before the 2010 FIFA World Cup. The Sky Deck itself really didn't impress me much. The least you can do when you have an attraction like that is to keep it clean. Its a good example of something with a lot of potential where that potential is not being developed. Richmond Hill has truly become one of the "in" places around Port Elizabeth and looking at the restaurants, cafes and pubs in the area it isn't hard to understand why. A week or so ago a friend asked me if I've ever been to Cafe Ruwach and on answering no we headed over there straight away for a look. Cafe Ruwach isn't just an ordinary... Well, it isn't ordinary. As you enter they have a sign stating the following: "We are not a restaurant, nor a steakhouse or a coffee shop. We are a cafe'. 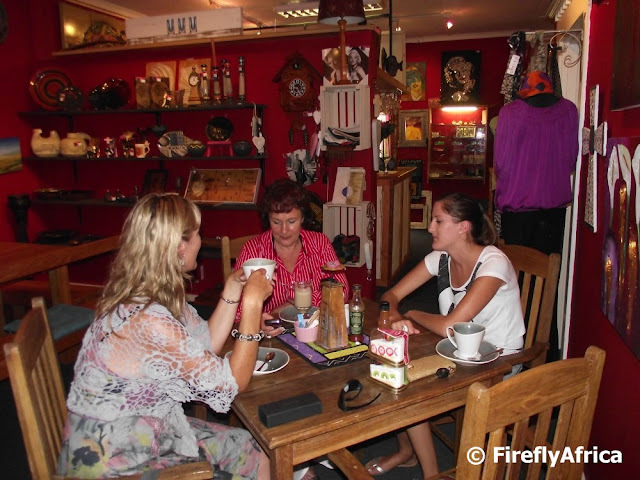 A place to socialise with good friends and good food. Our menu and tastes change often". And that is what it is. Actually I would say its so much more than just a regular cafe. Cafe Ruwach is also an art and craft gallery, boutique and a bit of an antique shop. I don't think you will ever get bored visiting Cafe Ruwach cause there is always something new to see. Today may well be April Fool's day, but this is no joke. Visitors to Amakhala Game Reserve situated about 75km outside Port Elizabeth have the option of booking a boat trip on the Bushmans River which, depending on the time of the cruise, can coincide with high tea. 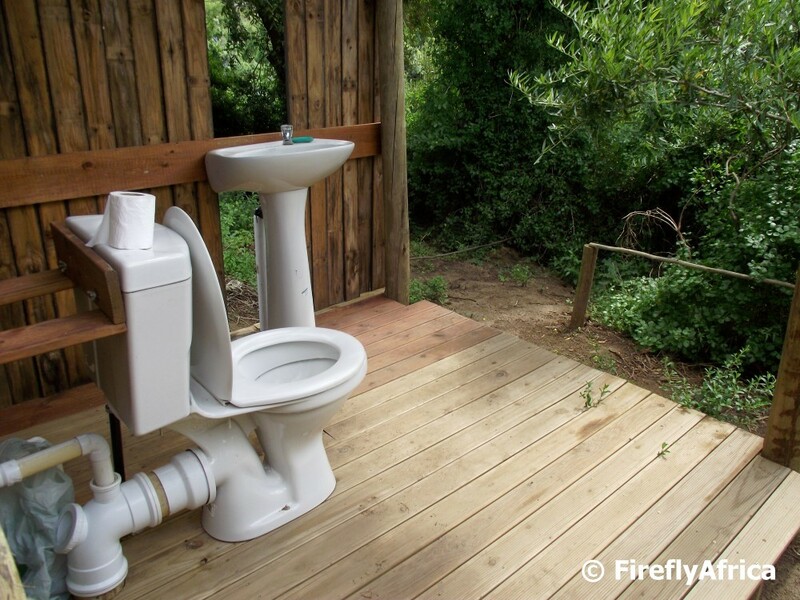 This toilet with a view is the pit stop you can use when nature calls while down by the boat's jetty. Guests just have to make sure that they use a coordinated queueing system otherwise it may just lead to ... an awkward moment.